The TIS experts develop smart tools that relieve your staff and ensure 100% overview at all times. 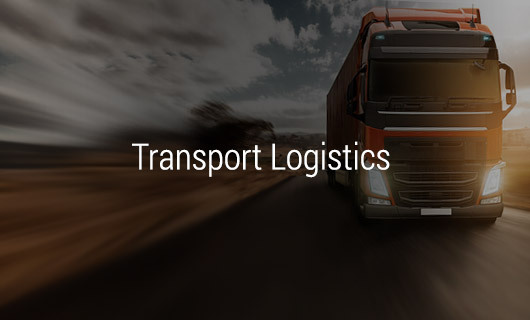 Our logistics softwarere liably supports your fleet management, shipment tracking, goods tracking and vehicle tracking - even with complex special transports. 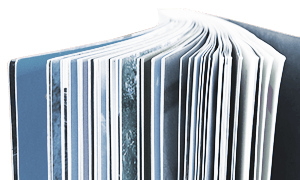 The software components are individually tailored to your needs and complemented by robust hardware and clever accessories to complete solutions. In order to have everything run smoothly in your warehouse, TIS deliver solutions for lean and reliable work processes. TIS telematics systems enable continuous monitoring of transport logistics through seamless management of goods for retail chains - over the entire logistics supply chain, from the warehouse to the smallest branch. 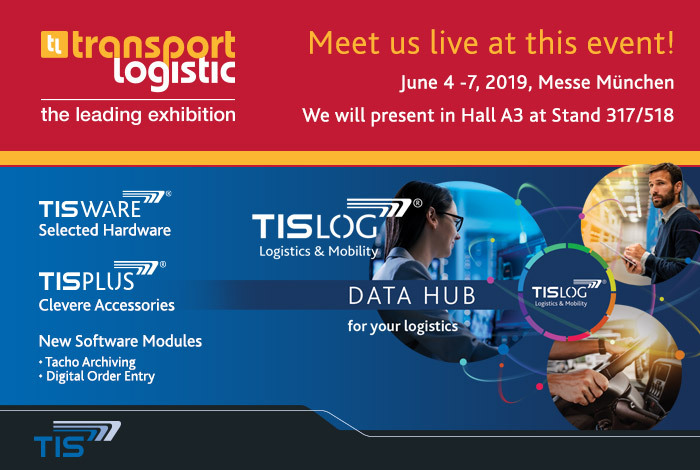 Automated processes, reduced error rates, relief of your employees: Learn in exemplary telematics case studies of our customers, how they operate more efficiently in practice with our TIS products for logistics. 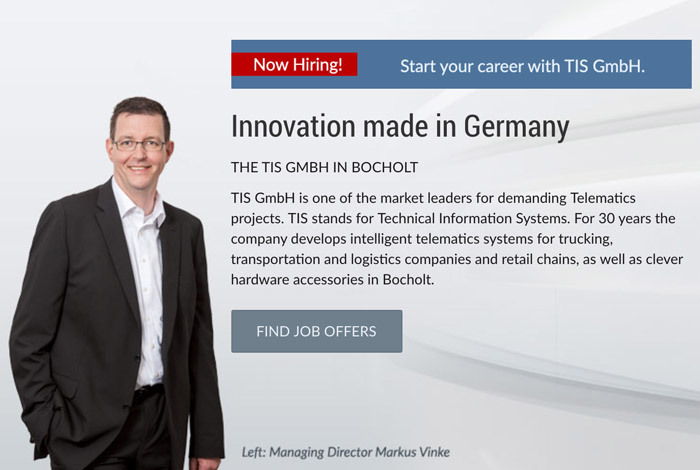 Driven by a passion for technology, for decades our experts in Bocholt are developing telematics software and hardware solutions, thousands of employees in trucking companies and warehouses rely on every day.